I've learned something. The Picasa program (not the web) for GNU/Linux is horrible when it comes to sync with the web albums. Even after I uploaded anything to Picasa-Web and redownload it via "Import From Web-Album" it keeps making a new Album, uploading everything in it again, when I add a single photo. It's unusable. Now, I'm uploading anything directly to Picasa Web and just download with Picasa for backup. It's not very satisfying. Can't wait for my Chromebook, where everything integrates seamless. I'm wondering if this problem only occurs with the GNU/Linux version of Picasa, or is a general problems. I never face so many problems. It's not easy to keep a backup without Picasa. In fact almost impossible. 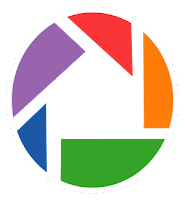 But if you don't change anything within the software, but use Picasa-Web only, you always can import from the web-albums to make an incremental backup. At least this works. A rough start for the cloud. Now you know why you can't just use your ordinary netbook to use the cloud simple and satisfying.